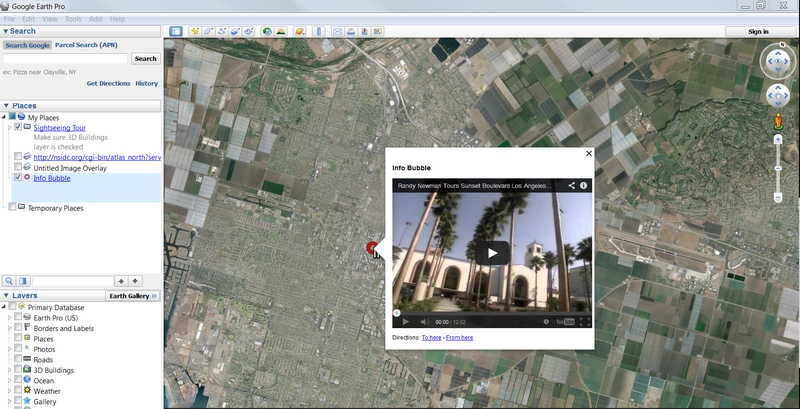 You would think that adding youtube video’s to an infobubble using Google’s MyMaps would be easy. It turns out that unless you follow a series of undocumented steps, the youtube video will not embed successfully. Here are the steps needed in order to embed a video successfully into an infowindow. Go to the Youtube page that has the video you want to embed. For example, check out this video of Randy Newman’s tour of Sunset Blvd. Add “http:” to the “src=”//www.youtube.com/”parameter.